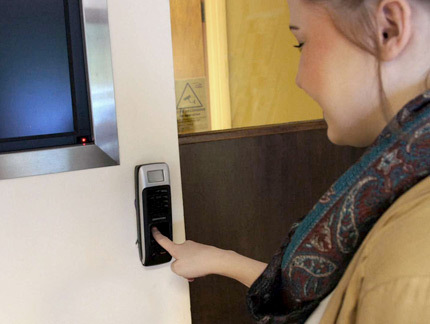 Access Control UK are leading providers of proximity smart card and biometric access control systems and software for both large and small companies. An UK-based manufacturer, we have over 30 years experience in designing, installing and commissioning outstanding security solutions. We take great pride in our commitment to provide the best possible customer care and adhere to the highest British and International security standards, which is why we’ve been formally accredited by several accreditation bodies (visit our Accreditations page for more information). The Access Control Systems supplied by Access Control UK are modular and fully scalable in design, thus allowing you to build your access control system to match your specific requirements, whether you’re a small company with under 250 personnel or a large multinational corporation. Beginning with the control of a single door, your system can expand to create a large access control network covering a single building or multiple sites. Alternatively, your system can remain small granting access to predefined secure areas of your premises. Operated by contactless proximity cards, key fobs or biometric fingerprint readers, the Access Control Systems from Access Control UK give you full control over who is allowed access through any controlled point at any time of any day, placing it at the forefront of security solutions. Contactless smart card systems from Access Control UK are a simple to use, highly secure way of tackling the problem of keeping access to areas or buildings under control, as well as monitoring who is present. In addition, the system comes complete with advanced fail-safe features enabling your system to operate even during power failure or in an emergency situation. Whatever your requirements, Access Control UK specialists are available to help you get the best from your system. Whether you are expanding your site and require more equipment for wider access control, or need particular management information from employees access records, our helpdesk are on hand to advise. In addition, we also provide support 24 hours a day, 365 days a year giving you round-the-clock functionality and assistance.